Georgianna Krieger is a sought-after performer and teacher. 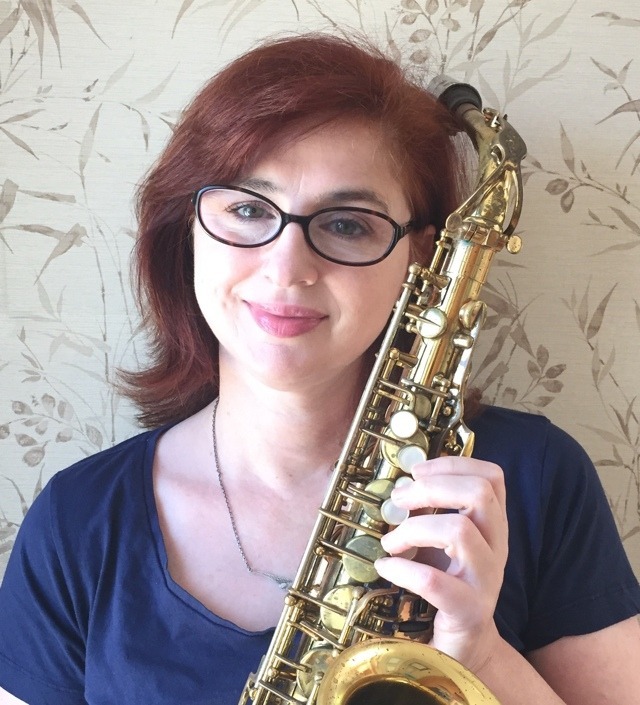 She plays soprano, alto and baritone saxophones with the acclaimed Resonance Jazz Ensemble, Playtime Jazz and the Hot Air Saxophone Quartet. She teaches private saxophone lessons to students age nine. Georgianna began playing the saxophone at the age of 9 and just kept playing. She spent several formative years growing up in Denton Texas, a fabled jazz town. Her first musical memory is of Gerry Mulligan, so it’s not surprising that she plays the baritone saxophone in addition to alto and soprano.